Adventist Health is building a new hospital adjacent to the 250-acre Bakersfield Commons project. The hospital is listed on the map just east of Coffee Road. Adventist Health will be building a new hospital in Northwest Bakersfield. 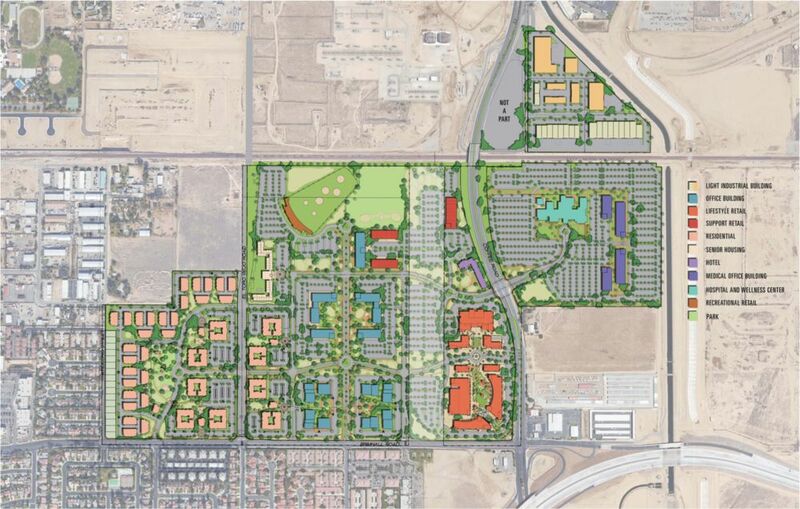 Sharlet Briggs, president/CEO of Adventist Health Bakersfield, said the hospital will be built off Coffee Road near Brimhall Road, next to what will become the Bakersfield Commons, a 250-acre mixed-use development that will include retail, residential, recreational and other types of space. Briggs said the new hospital, which will be the third in Kern County once the new Tehachapi hospital opens, is still in the early stages of planning, with construction work expected to start in 2021 for an opening in 2024. Briggs said hospital employees were notified about the new facility last week and will be having talks with them to get their feedback on the new hospital. Briggs said Adventist Health is still looking into what kind of specialties the hospital will have and what is most in need. “We’ll get our employees involved, our physicians involved and the community involved in really defining what this next hospital is going to be,” she said. Why a new hospital in town? Briggs said the current hospital off of Chester Avenue in downtown Bakersfield has been near or exceeded capacity with the 254 beds it provides for years. She said the hospital has considered a new facility in town for the past several years. Briggs said the new facility won’t be as large as the downtown hospital. She said Adventist Health will be hiring workers for the hospital but said the exact number of hires has yet to be determined. mechanics, a field with widespread shortages including over 300 openings in Stanislaus County alone. citing the teachers, hands-on learning, and personalized pace as benefits. Parker’s situation is not unique. In fact, VOLT boasts an 88% placement rate among graduates. enroll please visit www.voltinstitute.com or call 209.566.9102.